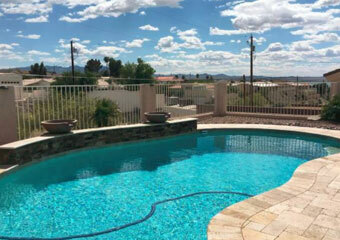 Pet Friendly By Owner Rental in Lake Havasu! 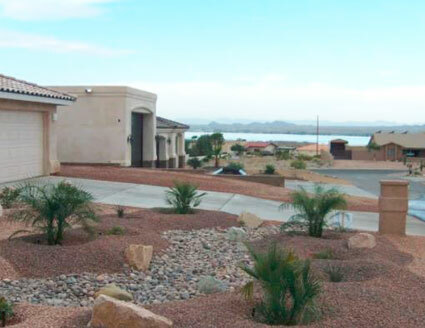 Havasu Private Home for Rent! Homeaway 40230237 - This vacation rental is located on a quiet cul-de-sac within walking distance to Mesquite Bay where you can launch your Kayak, or do a little fishing. Lovely 3 bedroom, 1 3/4 bath vacation property. Lovely 3 bedroom, 1 3/4 bath vacation property. Completely fenced front and back, with "coyote" safe, protected animal run, with door off the master bedroom. All new mattresses: 1 King, 1 Queen, 2 twins. Comfortable living room furniture, and beautifully decorated. All new towels, and linens. 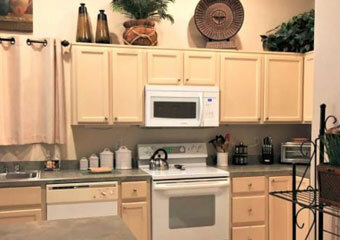 The kitchen has a dish washer, electric stove, refrigerator, and pantry. The laundry room has a new washer and dryer, with extra storage area. Each room has a good size flat screen TV, with Blu-ray player in the living room and DVD player in the twin bedroom. 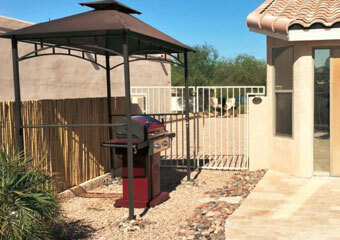 The Master has it's own shower and toilet, with sliding glass door leading to the large patio/pool area. With beautiful lake and canyon views. Less than 3 miles to our Mall, 1.7 miles to Windsor launch ramp. The patio is done in a beautiful travertine. The pool has a seating area with table and umbrella, and a beach type entry. The pergola shades a sitting area, at the beach entry of the pool. The front patio is completely enclosed and also has seating. There is room to park a large boat, or hook-up an RV on the side of our house. 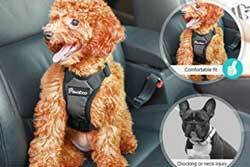 We are pet friendly, with prior approval and details about your pet. We strive to make this a fun, and safe place for you to vacation. Homeawy Review: "Our family had such a wonderful Thanksgiving weekend at your beautiful home. It is so cozy, comfy and has all the household goodies we needed for our big dinner. 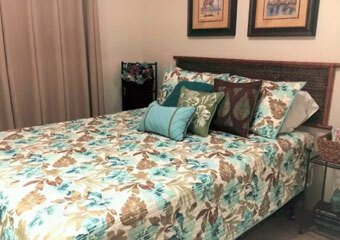 The beds are amazingly comfortable and the linens plentiful. Donna and Bob are wonderful hosts, gracious and generous. We can't wait to come back and stay in June! Thank you both for your warm hospitality."